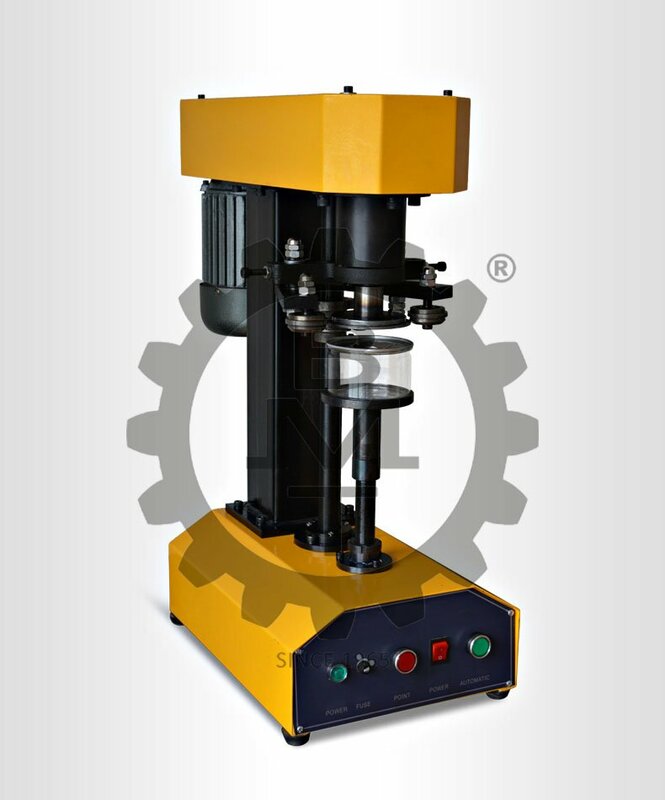 Semi-Automatic Electrically operated Can Seamer. Leak Proof and Consistent Seaming. For Home, Laboratory or small Scale Canning. Craft Beer, Beverage, Juice and Homebrew Canner. Compact light-weight design. Easy to Transport and move. Machine operation through Foot Switch or Single/Dual Push Buttons. Cam Driven Rollers for Consistent Seaming. Seams Plain or Easy Open Ends. The Can with the Lid (End) to be seamed is placed on the lifter plate. A Foot Switch (electronic) or Push Button is pressed. The Can is lifted to the Seaming Chuck, Seamed and brought down to the idle position and the machine is ready for the next Can. 400W – 220/110V – 1 Ph.